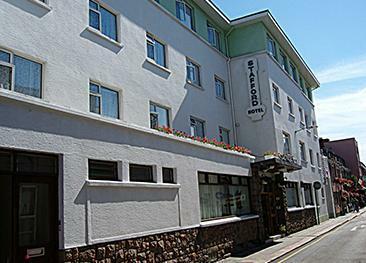 This adult only hotel is just a 10 - 15 minute walk from the shops and restaurants in the main town of St. Helier. 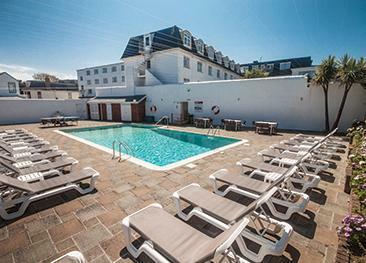 The beach and the open air saltwater Lido are only a couple of minutes walk from the hotel. 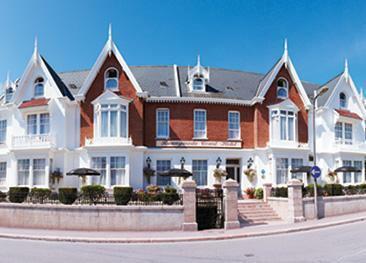 All guest rooms are en-suite and equipped with flat-screen TV, tea/coffee and free WiFi. There is a lounge bar area which is open until 22.00 each, but no bar service. Guests may use this area at their leisure, to socialize, watch TV, play board games or even eat their take-away or have a drink. The Alhambra has no ground floor rooms or lift. The island's south coast beaches are a few minutes' walk from the hotel.